It's possible... the dll is from the 14.4 drivers, since later drivers had problems with SE. Do you think it's an issue that could be solved with future patches, or should I start experimenting with different drivers? Hey guys, whenever I load up Space Engine it constantly rotates the camera to the left no matter what I do! I am getting frustrated as I uninstalled and reinstalled and it keeps doing it! Any solutions? I don't know how to get rid of this annoying glitch or bug!!! Do you have a joystick or other type of controller attached? I noticed this when I attached my joystick before I configured it. After configuring the joystick in SE it stopped rotating. Apparently I did without knowing! Thanks! 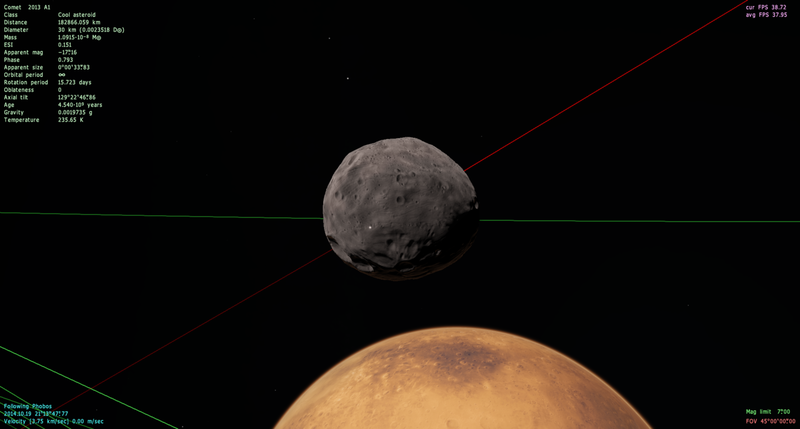 I was messing with my Hadeus addon, tweaking the stars, and I noticed that when I comment out the periods of the circumbinary objects to let SE calculate the periods, SE generates improper orbit periods for said CB objects; so a planet at SemiMajorAxis 0.37 will have an orbital period of over 3000 years around a 1.57 solar mass (Combined mass of two stars, 1.09 and 0.48 solar masses) binary. EDIT: And why won't the forum let me upload the log files themselves? I keep having to zip them to get them to upload. why won't the forum let me upload the log files themselves? There's a 600kB file size limit. I has fixed this bug yesterday. Caught it before I did, then? That pretty awesome. Hopefully I didn't miss an obvious solution. So I open Nvidia control panel->3d settings management->program settings->add and choose spaceengine.exe in system folder, choose nvidia card from the list and click apply. Nothing happens, no new profile is added. Game obviously still crashes every time. Why can't I add SE profile to Nvidia card? Is there something obvious I'm missing? Assuming you're using recent drivers, SE already has a profile there, created by Nvidia. Just find it and adjust options as necessary. Hello. I seem to crash in SpaceEngine every 30-40 minutes. Can anyone help? For some reason I can't set a custom resolution for full screen anymore? This seems to eat up virtual memory like there is no tomorrow. Within a about 10 minutes of launching it's used up all 16GB of the Windows Virtual Memory pool and it then crashes. Hello, I been having trouble starting the game, when I start it it says "No planet shaders found, press YES to run with no procedural planets". When I press planetarium, it says "Space engine has stopped working"
It says. "Space engine has stopped working"
EDIT2: Putting "true" in the "ignore problems" in main.cfg still makes the "No planet shaders found, press YES to run with no procedural planets" error come up. I guess my system is too weak?